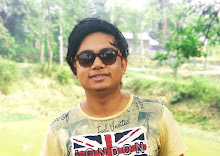 Hello, Guys, I am Majibul Hussian And Todays In this Article I Am Gonna Teach You How You Can Easily Check Your NRC Application From Hearing/Verification. And Many People Wants To Know How They Can Check Their NRC Hearing Detail Because Some Time The By Post Letter Comes Late, So In This Article, You Will Learn How To Check NRC Application for verification And Also Hearing. So Here Are The Steps You Need To Follow Properly. So Without Further Talk Lat Get Started. Procedure To Check NRC Application Form Verification And Hearing In Detail. 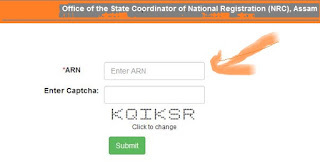 First Of All, You Need Your NRC ARN (Application Reference Number) If You Don't Know How You Can Get This Number Than I Will Tell You Check Your NRC Form Top Right Corner You Will Get The ARN Number If You Getting Problem To Find It Than Watch The Picture. Once You Know Your NRC Number Than You Good To Go And You Can check You NRC Application Form Detail About Hearing/Verification. Now You Need To Visit A Website Called (www.nrcassamhearing.In) On This Website, You can Check You NRC Application Form Hearing/Verification Detail. 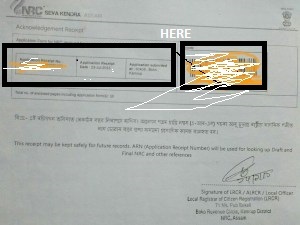 Now This For Those Who Don't Know About How We Can Check NRC Application Form Hearing Detail On NRCassamhearing So This Is Actually Very Easy But One Thing Your Might Be Required Is You Need A Good internet connection I Mean If You Have 3G,$g You will Able to Check NRc Application Form Verification And Also Hearing And If You Don't Have A good internet Connection Than You Get An Error. So first Visit The Website NRC Assam Hearing It Will Take You On This Page Once You Successfully Open The Web page Than Follow These Steps To Check You NRC Assam Hearing/ Verification Detail. If You see This Image Than You Need To Fill Your NRC ARN Number In Arn And Fill The Captcha Code And It Might Get Some Problem But In 3 Times It Properly Open You NRC Hearing Detail. And I Think You Know About The NRC Assam Hearing Or Verification If You see There Is Name Of Any Of Your Family Member Than you Get A Letter And You Need To Visit The Address Which Is Include In The Hearing Notice. So I Hope You Guys Like This Article IfYou Than Please Share And Follow Our Blog/Website FFor More Interesting Updates.